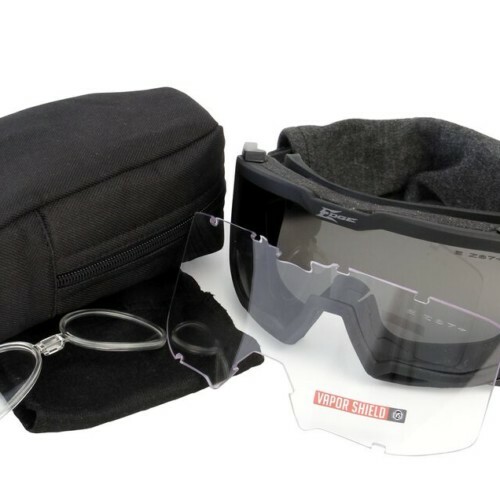 The ballistic-rated Overlord Kit was specifically designed for tactical operators with feedback from multiple Special Operations Groups, and it is absolutely essential for effective eye protection in the most challenging of environments. 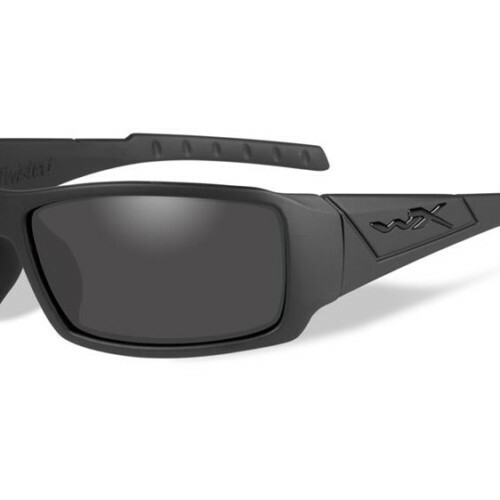 The flexible and durable rubberized matte black frame is equipped with a soft thermoplastic rubber nosepiece and temple arms to create a comfortable, nonslip fit. The four blade-style lenses can be easily and quickly interchanged with one gloved hand and no tools. 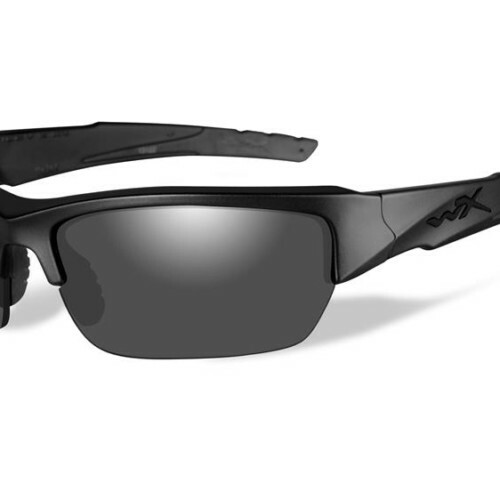 All non-polarized lenses feature Vapor Shield, a built-in “military grade” anti-fog technology which is completely resistant to fog. This means anti-fog wipes or sprays are not necessary to keep vision clear. 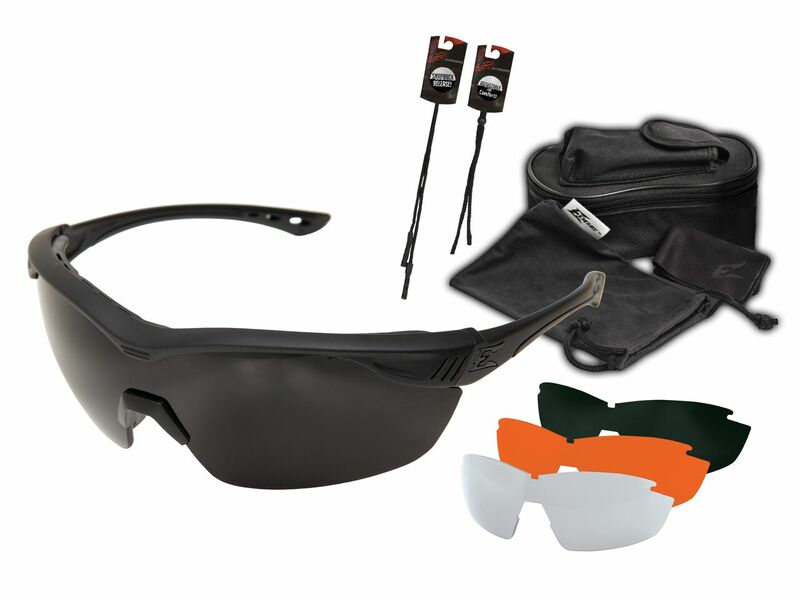 The Overlord Kit includes the soft-touch matte black frame, four interchangeable lenses (Clear Vapor Shield, Tiger’s Eye Vapor Shield, G-15 Vapor Shield, and Polarized Gradient Smoke), collapsing MOLLE-compatible case, microfiber lens cleaning bag, chamois cleaning cloth, and noose & neoprene strap eyewear-retaining leashes. Tiger’s Eye lenses make outdoor conditions appear sharper by filtering high levels of blue light to allow for greater depth perception and a brighter view of surroundings. The addition of Vapor Shield “military grade” anti-fog technology keeps these lenses completely resistant to fog, even in extreme environments. 50% of visible light passes through this lens color. 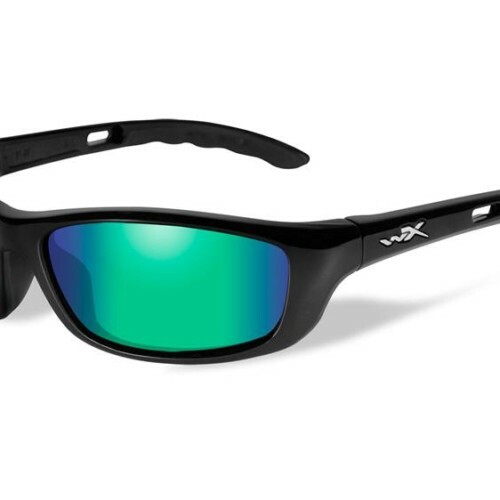 Polarized Smoke lenses provide the perfect all-around tint for bright light conditions. This popular lens color blocks sunrays without causing color distortion. The addition of a polarizing filter increases clarity by reducing glare. 14% of visible light passes through this lens color.